In just 10 days time, the audiobook sequel to Transit will be released - 'Fracture'. We thought it would be prudent to use our first product spotlight post to talk about Transit - our most distributed audiobook. 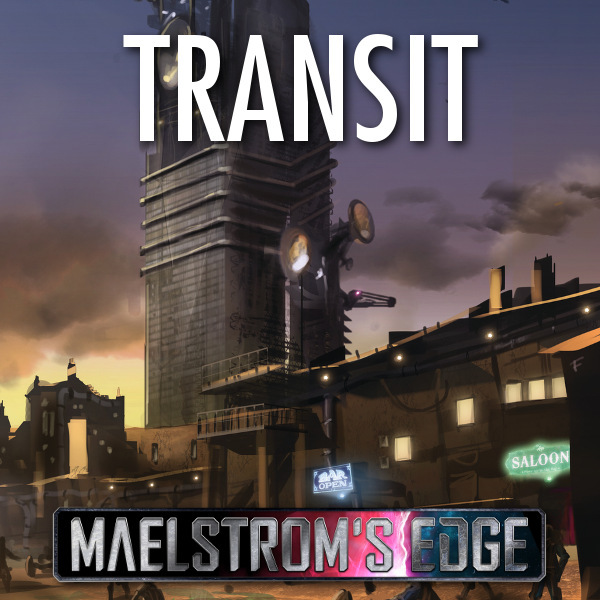 For those who have not heard it, Transit is a one hour long audiobook by Stephen Gaskell which was written to serve as a broad introduction to the Maelstrom's Edge universe, following the POV character as he learns what the Maelstrom is and what it represents for his future. Amusingly enough, none of the Maelstrom's Edge factions are directly present in the story as it was written while things were still being finalised on that front and we did not want to have to retcon story number 1 if we changed anything at that time! We've now made the first 5 minutes of Transit available here so that anyone can preview it. We tried out a few different voice actors and studios, and differing mixtures of sound effects and music with our initial recordings. We opted for an older British accent with subtle ambient sound effects to be the standard in our audiobooks as it was deemed to be the most appropriate for the setting and avoids too much in the way of distracting sounds. The pace of narration is deliberately designed to work well for listening to when you are either painting or driving. Painting our models is a massively enjoyable part of the hobby for us, but painting while enveloping ourselves in the universe with an audiobook makes things even better. This is why we've gone so heavy on audiobooks already, with 5 painting session length audiobooks already released on the Maelstrom's Edge webstore. If you've got a long commute, or want to take your relaxation to the next level when painting, we hope you'll consider checking out some of the Maelstrom's Edge audiobooks.